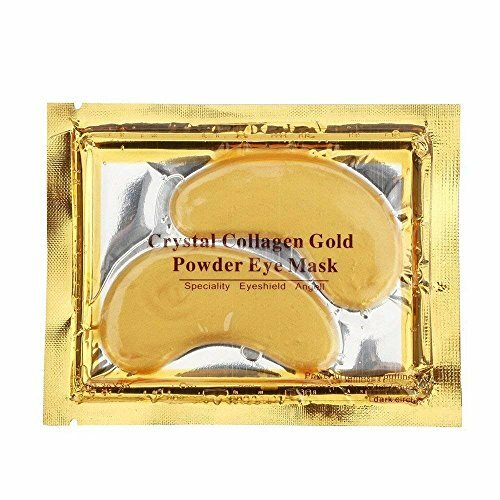 5.Enhanced skin elasticity is another one of the benefits of gold collagen crystal mask. 1.Wash your face and eyes with warm water. 2.Open the package and take out the mask and apply under your eye area. 3.Gently press the mask to create a snug fit and leave it on for 15 to 20 minutes. 4.Remove the mask and clean with water. 5.Recommended to be used by all skin type and best time to use this eye mask is before sleep or during resting. 【EASY TO BE ABSORBED】The Composition of The Pads Is Similar To That of Human Tissue. With high-density plant collagen and transparent mask releasing technology, the ingredients are quickly absorbed by the skin, providing needed nutrients and moisture. 【LET THE RESULT SPEAK THEMSELVES】From the very first application you'll notice increased hydration, depuffing , tone and a smoother surface to give you a new kind of long lasting confidence .